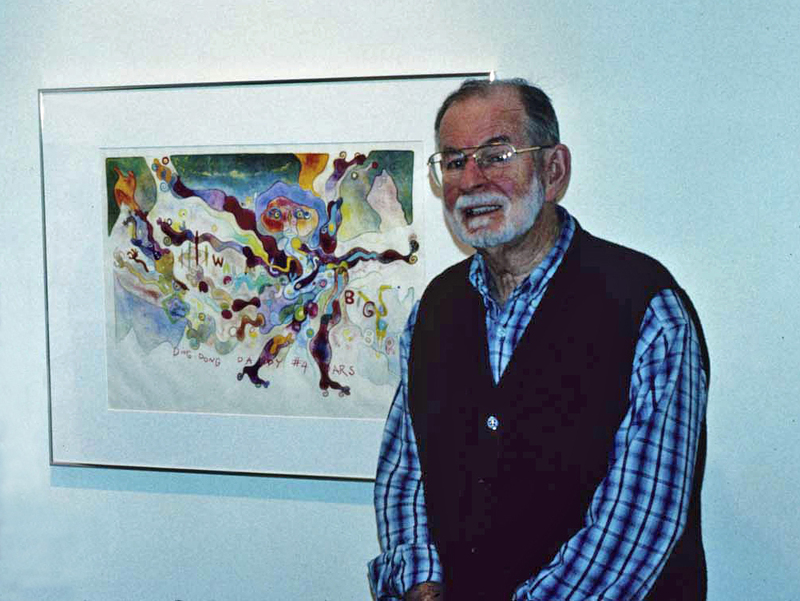 Thank you to Rick Raschke, 1990 BFA Studio Art alum, for providing a place to enjoy, exchange and reminisce about William Walmsley’s work and life. Here’s an invitation to visit and contribute content to an open “Visual Archive/Blog” featuring the art work of Florida State University’s celebrated master printmaker; Professor Emeritus, William A. Walmsley. Colleagues, former students, collectors . . . anyone may participate, the aim is to grow this easy access visual reference for all to enjoy. Simply visit the Facebook site; Lazy Duke Surfboards and Fine Art Gallery to re-visit Ding Dong Daddy’s DayGlo® lithographs and more! Post prints, paintings, exhibition announcements, photos, notes, recollections, fond memories, etc. — any and all appropriate content is welcome. Currently the “gallery” has three Bill Walmsley albums; “WALMSLEY WORLD” the visual archive album, “50% .ORG SALE” an album featuring select William Walmsley works [early work, maps, landscapes and portraits] to benefit; Special Olympics GA, LEKOTEK of GA and FOCUS Atlanta and if you are seeking-or-selling, you are invited to post i n the newest album; “WW-CYBERTRADINPOST, BUY/SELL/TRADE”. Lastly, please click “like” on this fledgling site, as it is still trying to meet Facebook’s thirty “likes” to qualify for the network insight features — thanks!